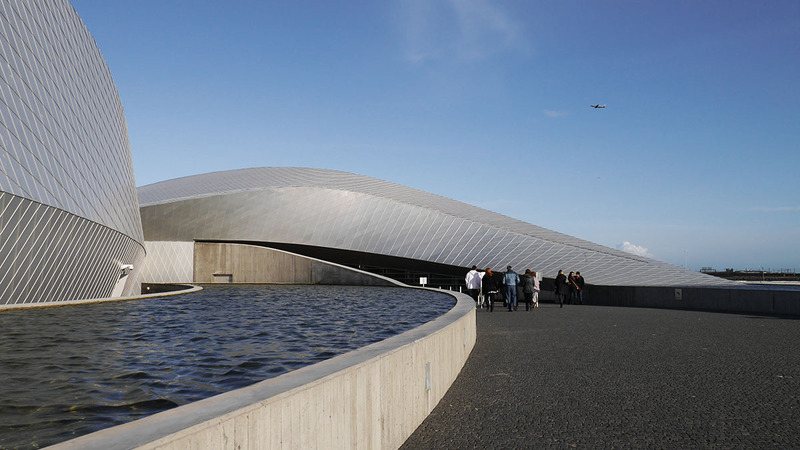 Not far from Copenhagen Airport, on a site facing Øresund, sits the National Aquarium of Denmark known as Den Blå Planet, The Blue Planet. Inside, visitors stare in awe at the tropical fishes, sharks and other sea creatures from around the world. 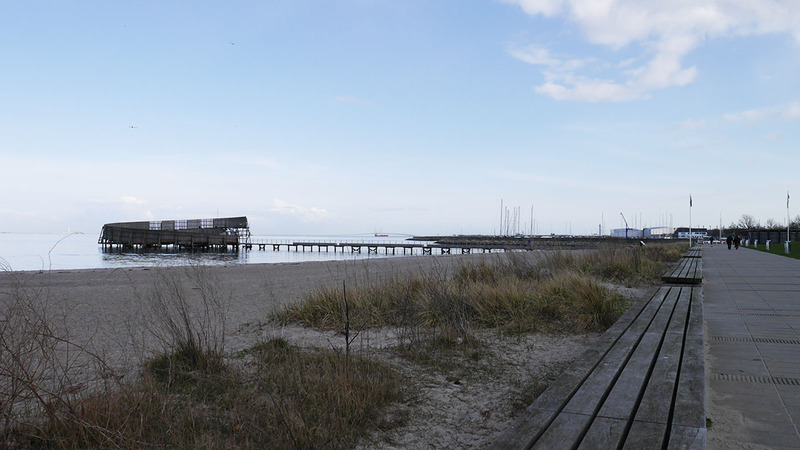 A five minutes walk from the aquarium is the Kastrup Søbad, otherwise known as the Kastrip Salt Baths. 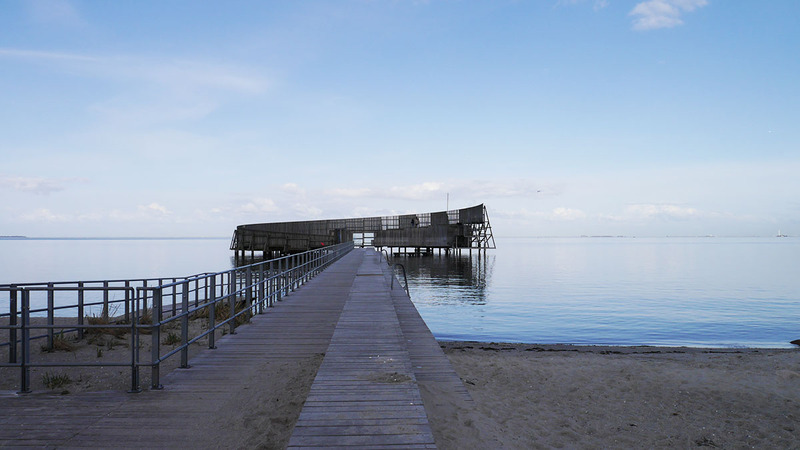 A simple structure extending into the water, the wooden platform brings people from the beach into the open water. At first glance, the two buildings could not be more different. One is made of reflective aluminium while the other is made of wood. One houses exotic sea animals while the other houses whatever fish cares to swim by. One charges for admission while the other is free. And yet, there are in fact many similarities between the two. 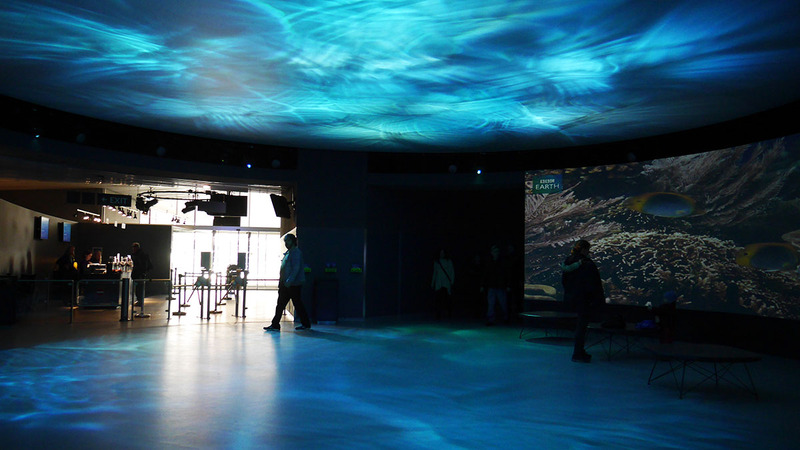 After all, is the function of an aquarium not to bring people closer to the natural world with its collection? 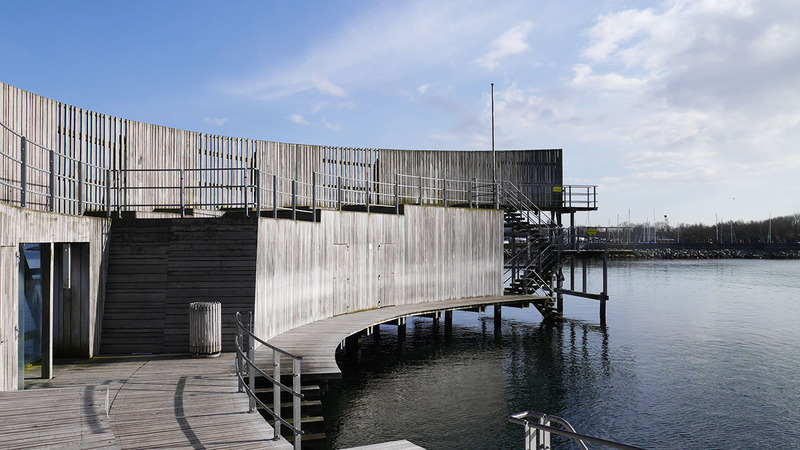 That same concept is conveyed by the Kastrup Søbad, as people are led onto an opened circular platform with various levels that allow different interactions with the water. 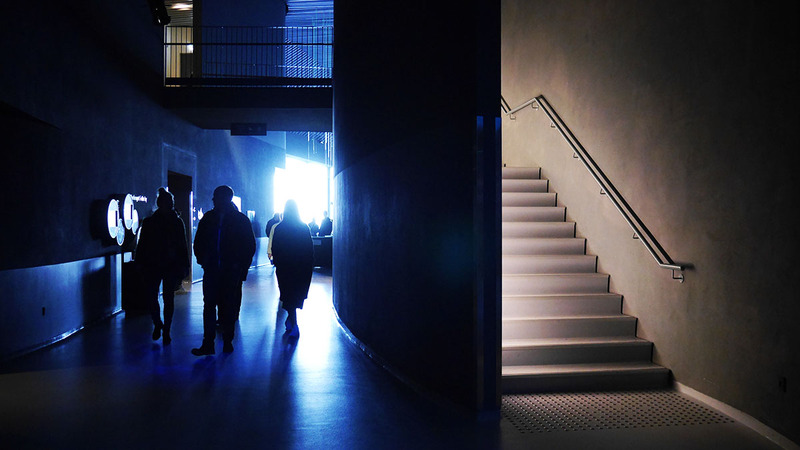 Stepping into Den Blå Planet, the first impression that greets the visitor is that the building is a place of a controlled environment. In order to sustain the sea creatures inside the building, the temperature is carefully controlled. 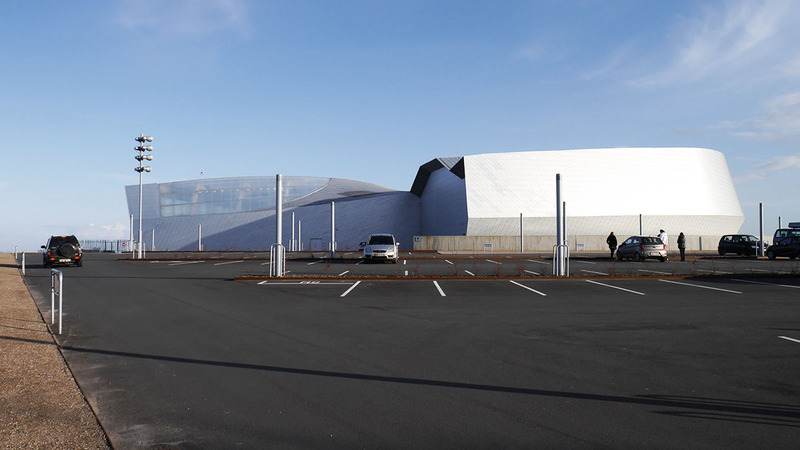 Inside, the core of the building radiates out into different parts of the aquarium, allowing visitors to visit different parts of nature. While the entire collection is presented in a close imitation of nature through the use of materials, lighting and space, there is no hiding the fact that all of it was, in reality, an imitation. 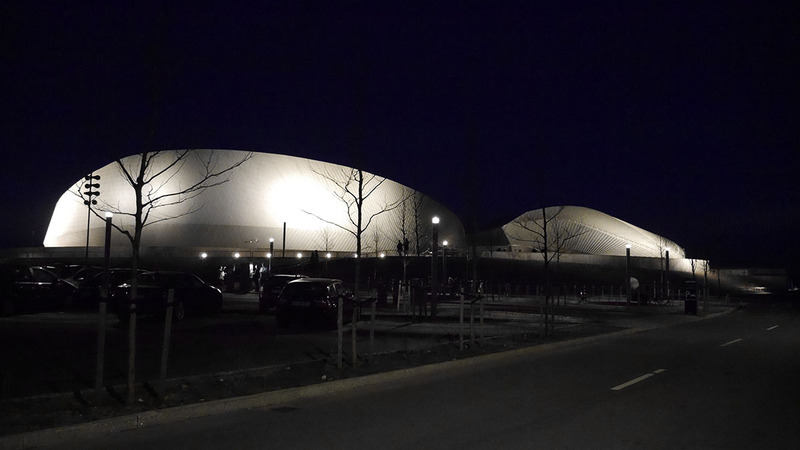 In contrast, the Kastrup Søbad was much simpler in design. 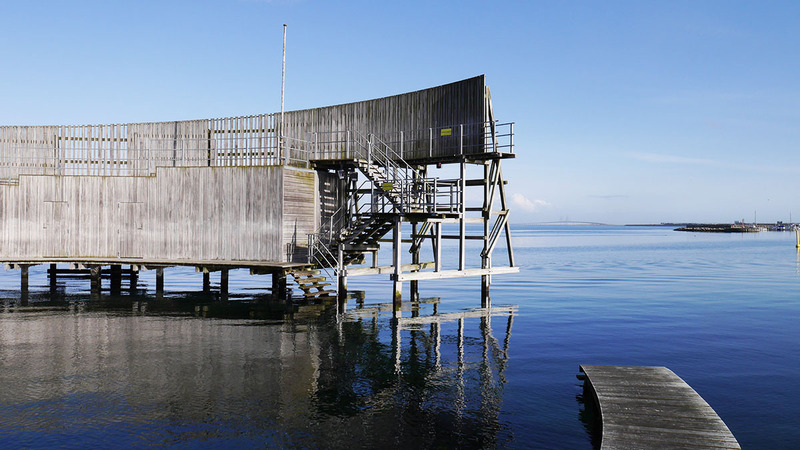 A wooden gangway extended out into the waters, terminating in the centre of a crescent shaped platform. People can climb down to touch the water, sit on the edge to dip their foot in or climb the structure to stare out across the sound. Nature was simple there, the structure an intervention to allow engagement. 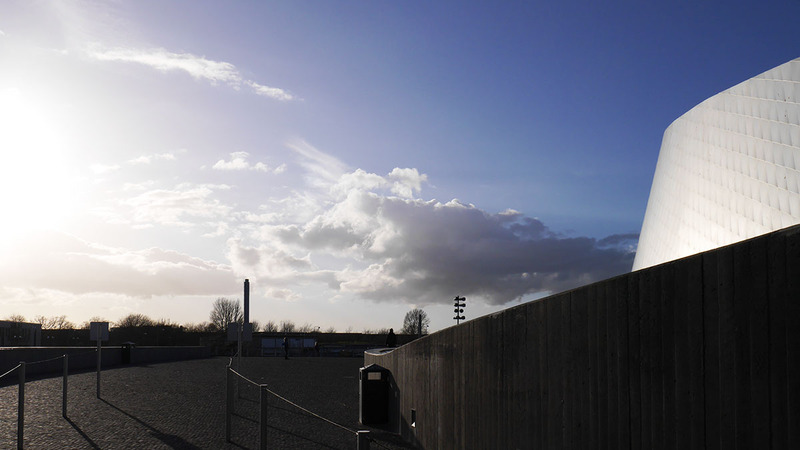 Perhaps the material choice of the two speak magnitudes about the two buildings in comparison. 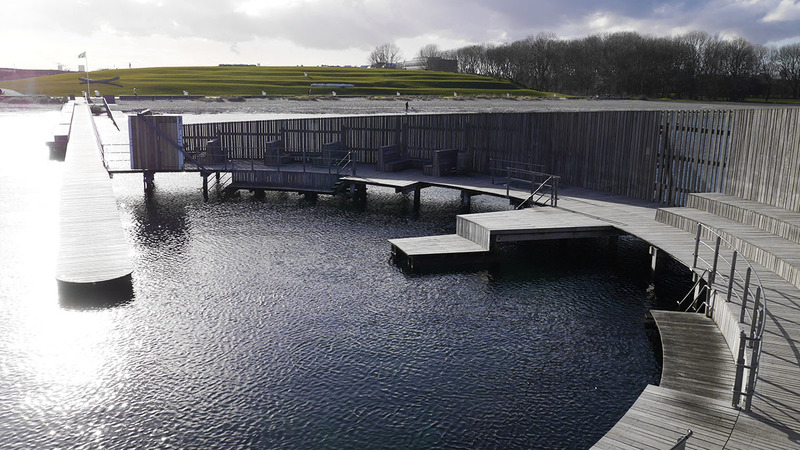 Den Blå Planet is cladded in a man-made material while the wood used in the Kastrup Søbad is natural, a direct reflection on the nature of their contents. 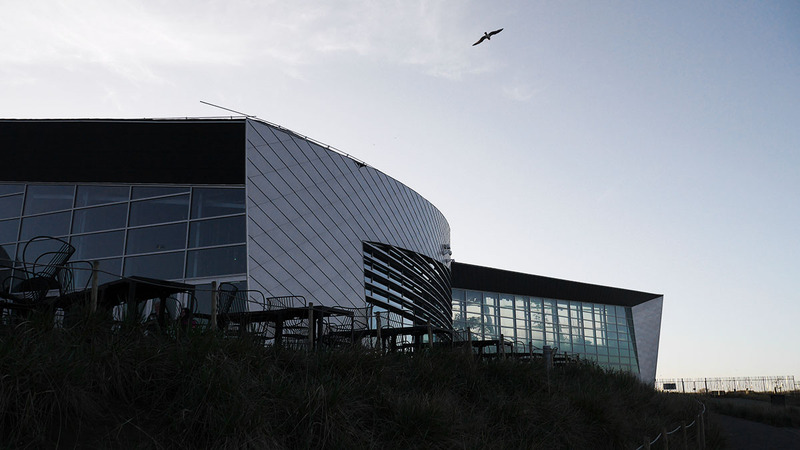 What is most interesting is that while both buildings deal with nature, they deal with very different aspects of nature. 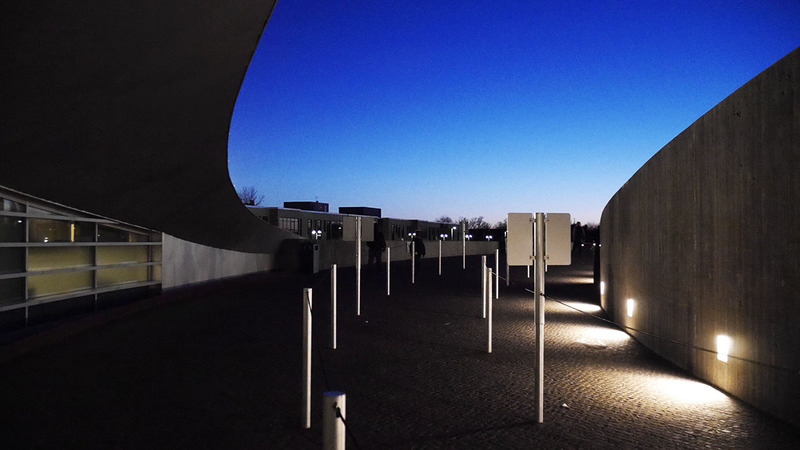 One building uses architecture to present nature as is in order to raise awareness of the surrounding. The other is an imitation. 18 Apr	This entry was written by ki and published on April 18, 2014 at 10:23 pm. It’s filed under Copenhagen, footnotes, Ke. Bookmark the permalink. Follow any comments here with the RSS feed for this post.